As second year of medical school is nearly over and Step 1 is 1 step away (aha! but seriously, t-73 days someone save me), more of what we’ve been learning has been put into a clinical context, and literally half of each day is spent going through cases, the kind of cases that we’ll be expected to present ourselves next year. 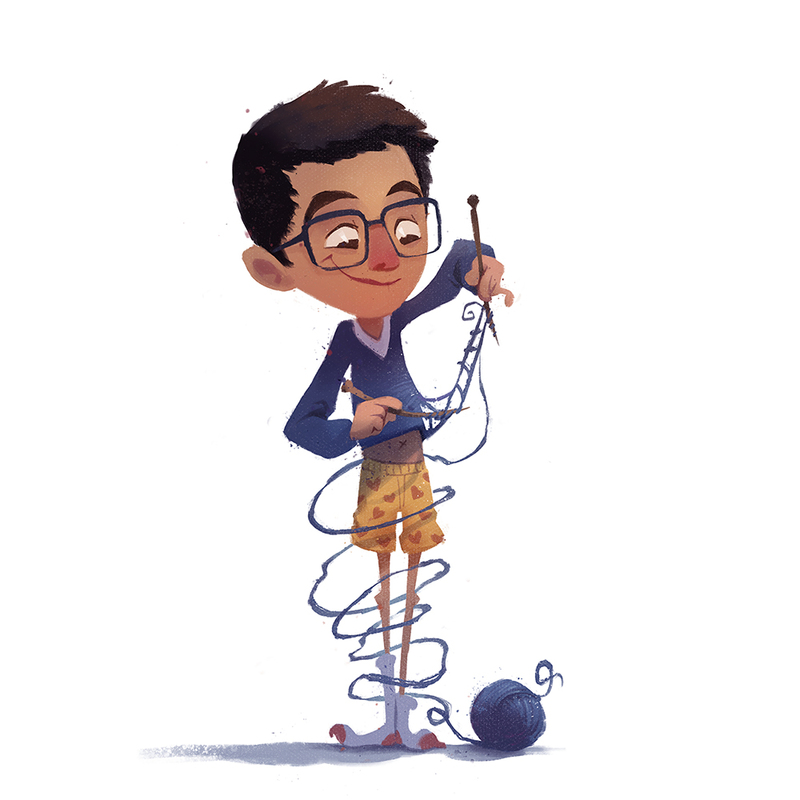 So, in an attempt to more fully embody my education (and to prove that knitting is the most relevant hobby one could pick up during medical school, aside from watching house), I decided to write up a case of my own. Chief Complaint: This is a left handed arm warmer in need of repair. I initially declined, but then reconsidered upon learning that its owner, Tiffany, plays Killer Bunnies (i love killer bunnies) and loves the West Wing (i bleed west wing). 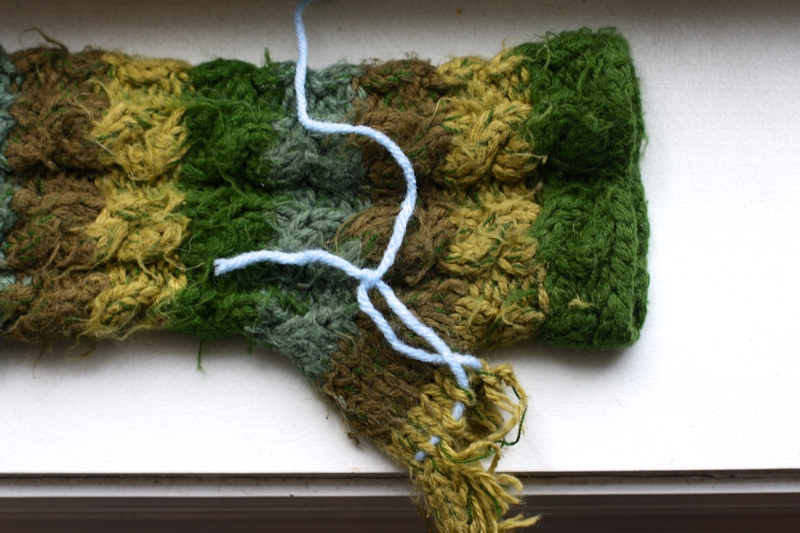 History of Present Illness: The arm warmer was knit approximately 3 years ago with a worsted weight yarn, likely a wool/acrylic blend (a precise manufacturing history was not obtained due to the fact that we ended up talking about jed bartlet dreams and which killer bunnies expansion pack is best), and began to unravel some time ago to the point where it is now unwearable. Tiffany denies any neglect or improper care and maintenance of her knitted accessories, claiming the injury is a result of ordinary wear and tear. She is most definitely lying. Past Medical History: Pilling — appears to be chronic, likely due to repeated use and cleaning. Given Tiffany’s extensive history as an all-around liar, I suspect it has been machine washed and dried several times, expediting the pilling process. 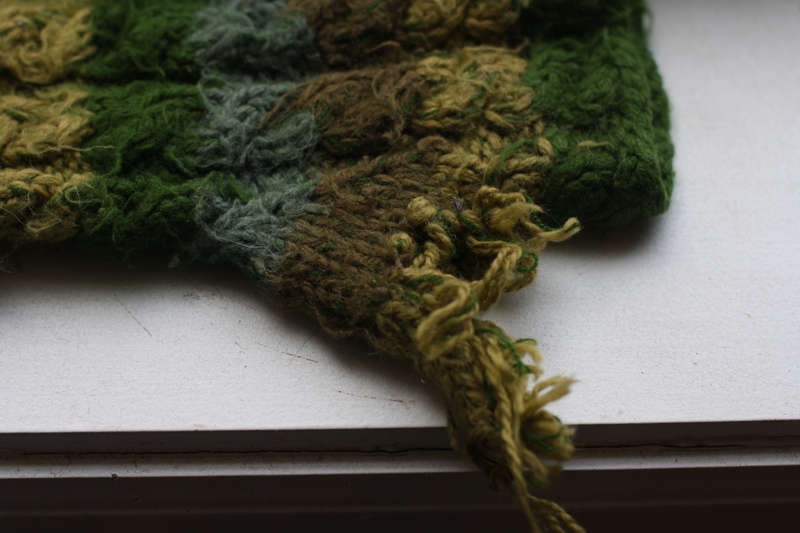 Past Surgical History: There is no evidence of past darning or repair. Allergies: Washing at high temperatures, machine drying, cats, babies, and annoying adults that like to pull on loose strands. Also penicillin. Family History: Wool on mother’s side came from a merino sheep named Wilson in Minnesota who was served for Christmas dinner 3 years ago. Acrylic on father’s side produced at an unknown company, but likely Red Heart Super Saver, which is unfortunate, because I despise Red Heart Super Saver. 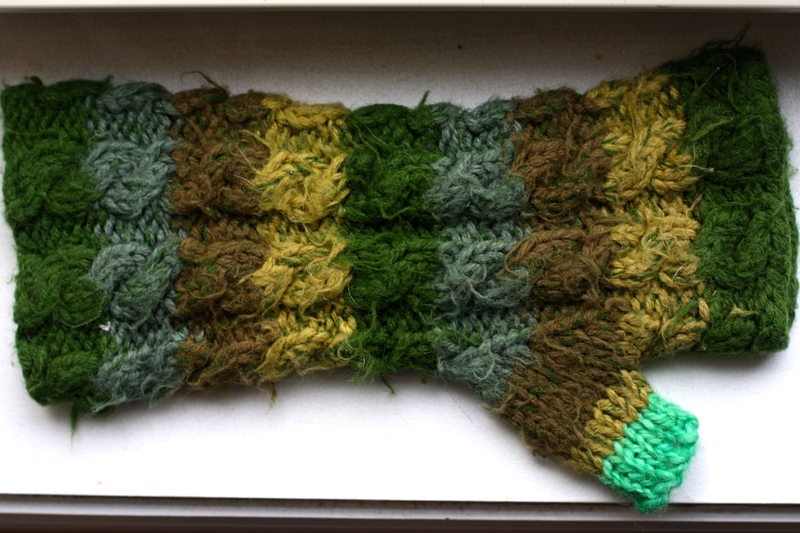 Review of Systems: Positive for cables, intarsia color-work, and ribbing. 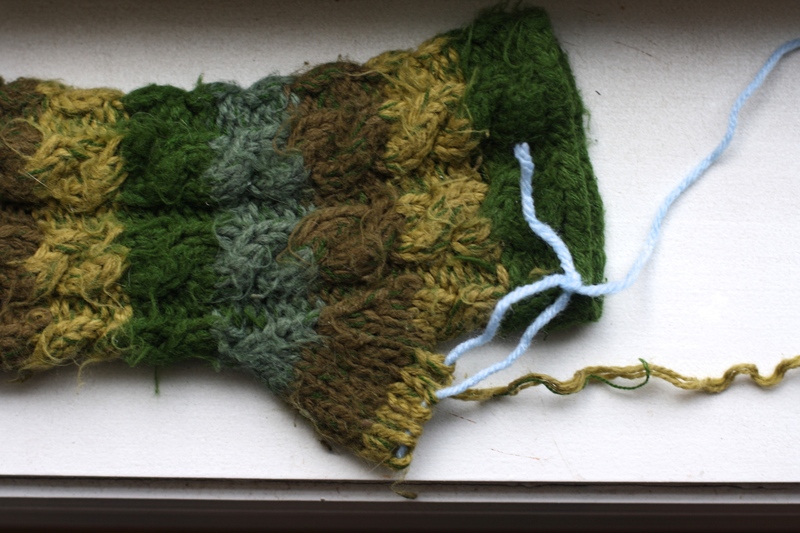 Notable unraveling and yarn loss. Body: blocked and well-knit, with moderate pilling. Mild jaundice noted. Thumb gore: loss of ~2cm due to unraveling distal to the gusset. 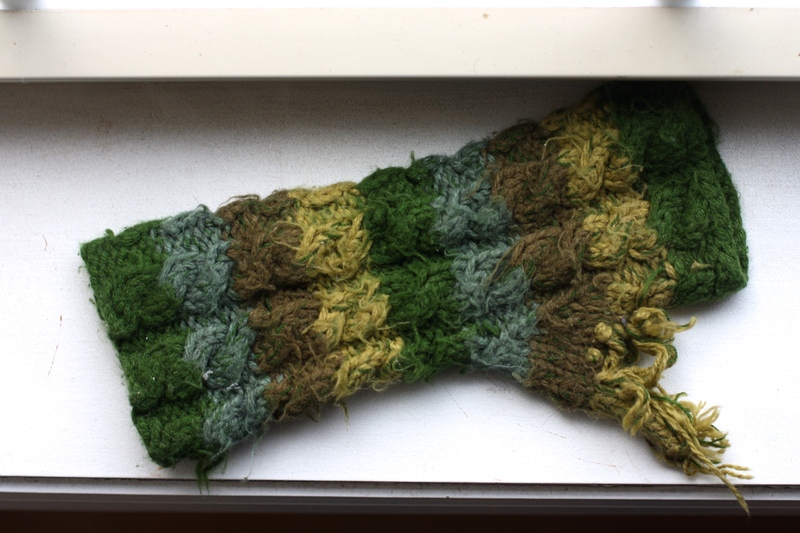 The arm warmer recovered quickly and was discharged immediately. The cliknitian who performed the yarnoplasty is open to more clients, as he needs something to do while he avoids studying, re-watches Youtube clips of Adele, and binge-watches The Blacklist on Netflix. ***Killer Bunnies and the Quest for the Magic Carrot has 10 expansion packs, which amounts to a total of 864 cards.